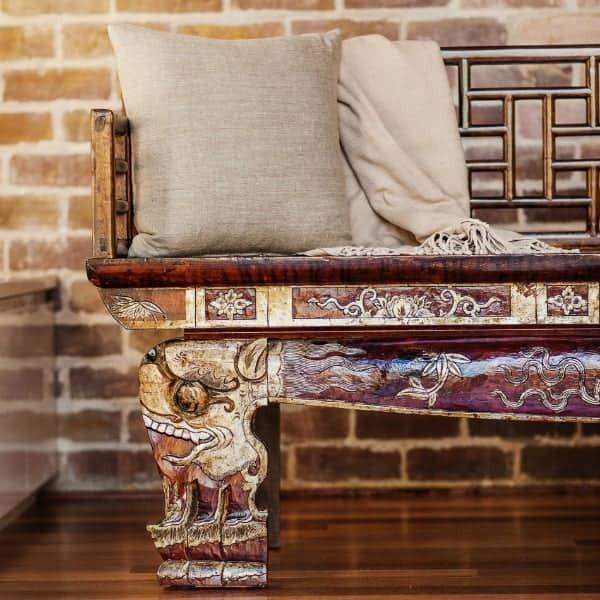 Once part of an elaborate four-poster Chinese wedding bed with its highly decorative dragon fascia board, it has been transformed and reduced in size to create a stunning feature bench seat. 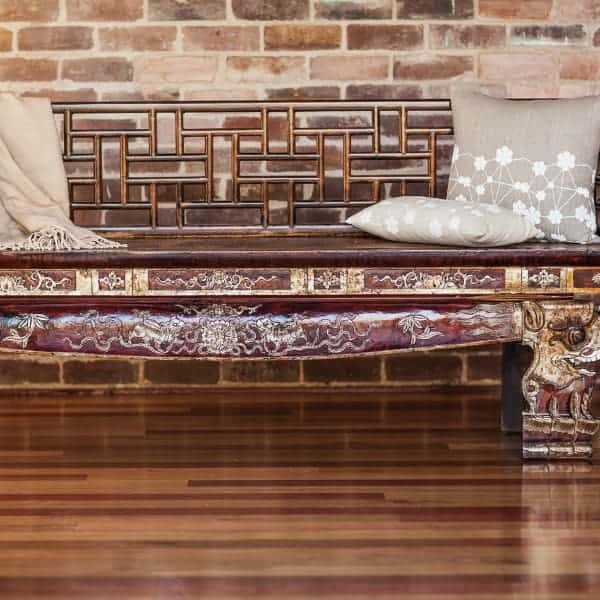 It would look amazing in a wide gallery style hallway or can make a stunning feature in the right lounge room, with its sturdy design allowing for extra seating when entertaining. 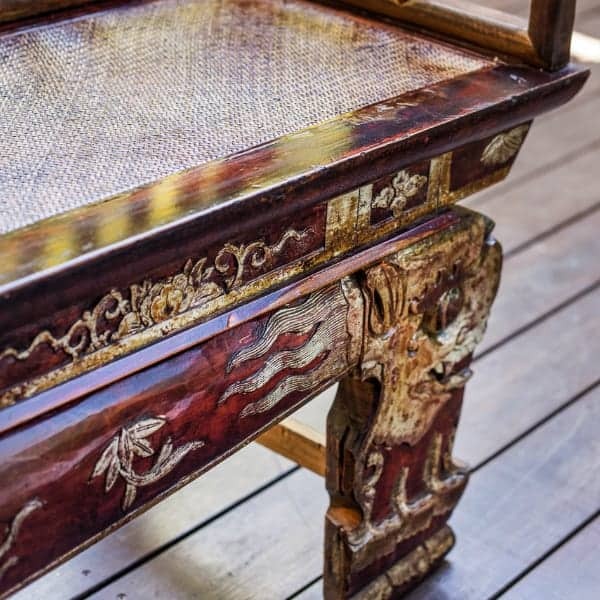 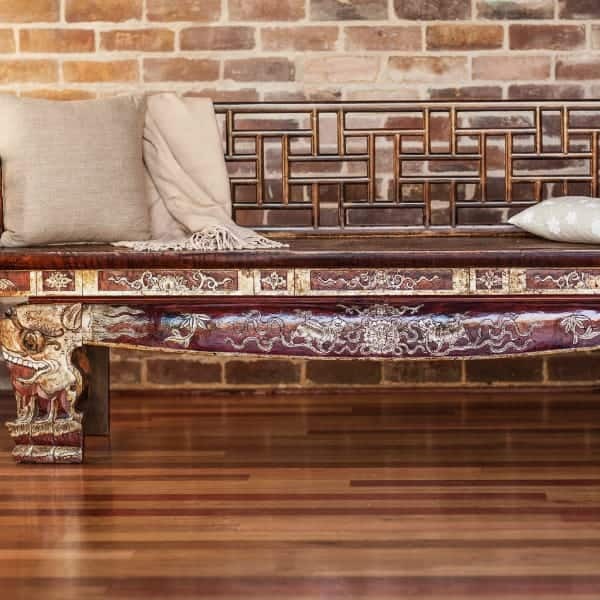 Chinese elmwood bench seat with mortise and tenon joints, screen back and arm rests, elaborately carved dragon fascia board and a woven rattan inlay on the seat.